While the Benue South senatorial rerun election is still ongoing, an ugly incident has reportedly happened in Okpokwu local government area of the state. Suspected political thugs stabbed an agent working for the APC with broken bottle and some houses were set ablaze. At the hit of the ongoing re-run election, thugs allegedly discovered electoral materials meant for the senatorial election rerun in the home of the chief, who is a known supporter of Senator David Mark. 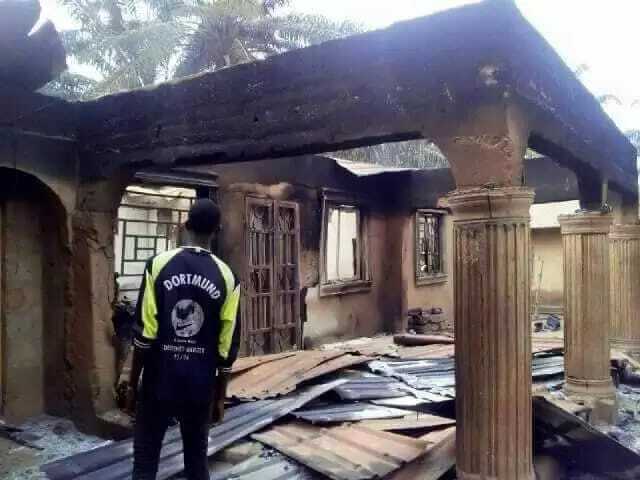 Chief Paul Amanyi, the clan head of Ehicho-Ugwu, Okpoga, home was also set ablaze by suspected political thugs believed to be supporters of the All Progressives Congress (APC), Punch reports. The attack took place at Idabi polling booth at Otukpi-Icho when the victim was escorting a ballot box in company of some officials of the Independent Electoral Commission from their office in Otukpo. Meanwhile, David Mark, the Peoples Democratic Party candidate in the ongoing senatorial district election rerun, has already exercised his franchise. The senator and his wife voted at Otukpo Club polling unit in Otukpo Township Ward 1 at about 10.58am this morning.